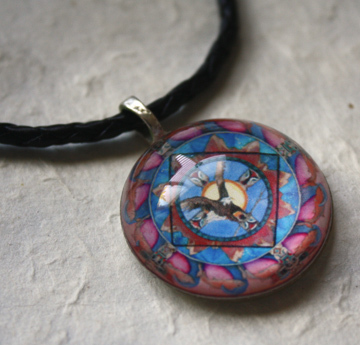 Magnify your intention! 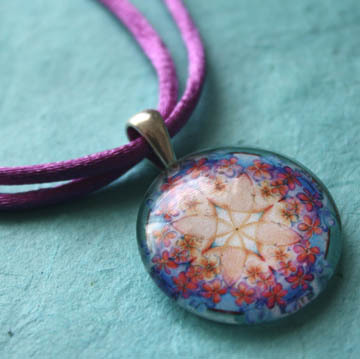 Wear your inspiration! 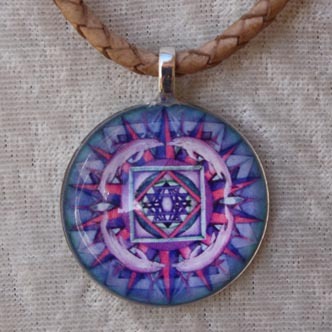 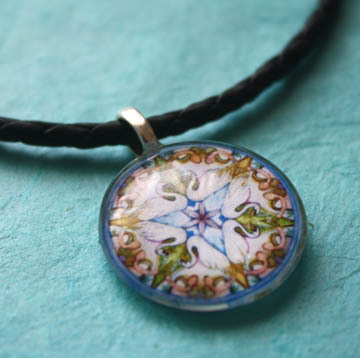 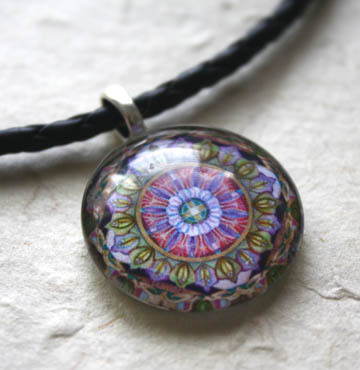 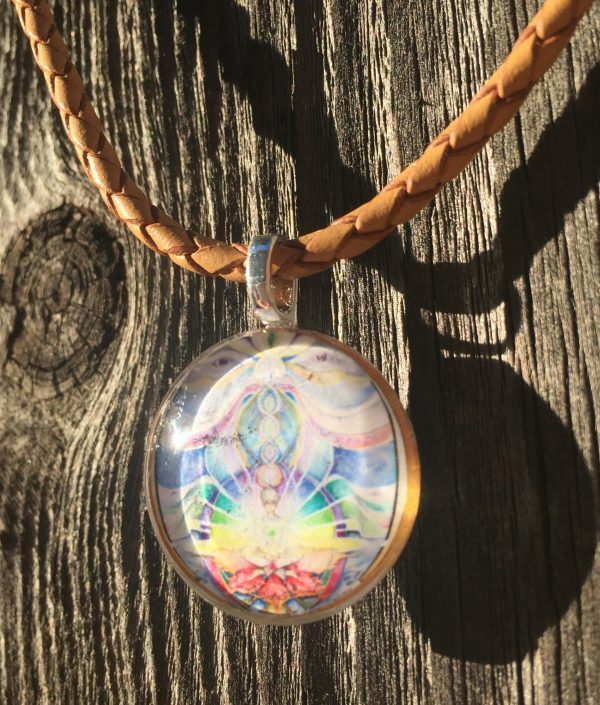 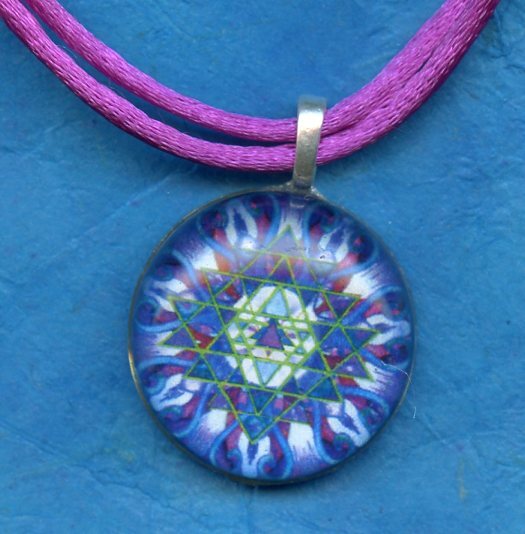 The mandala is set in sterling silver or silver plated brass, and is protected by a shining dome of glass. 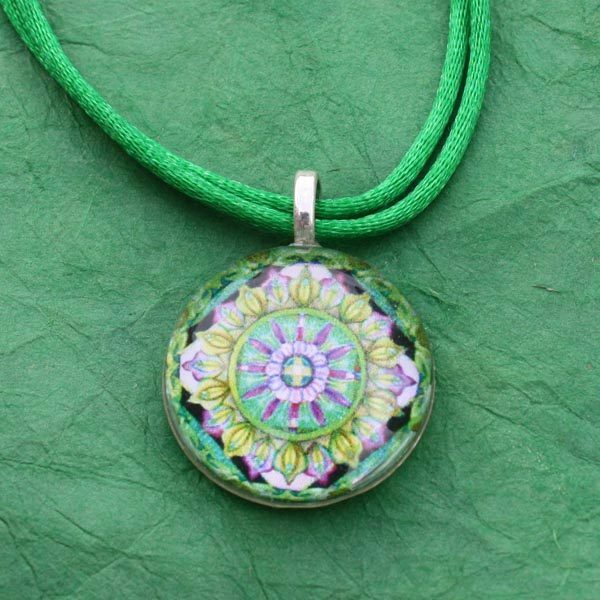 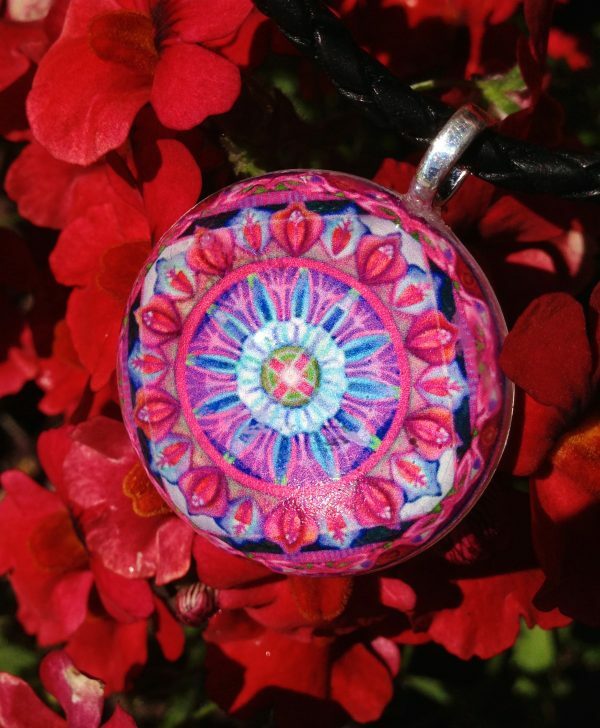 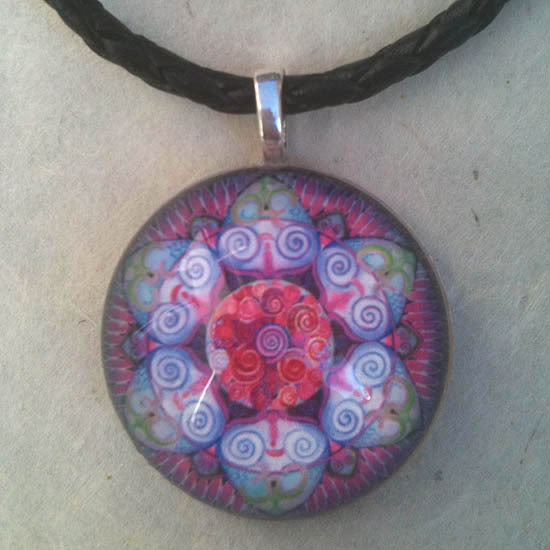 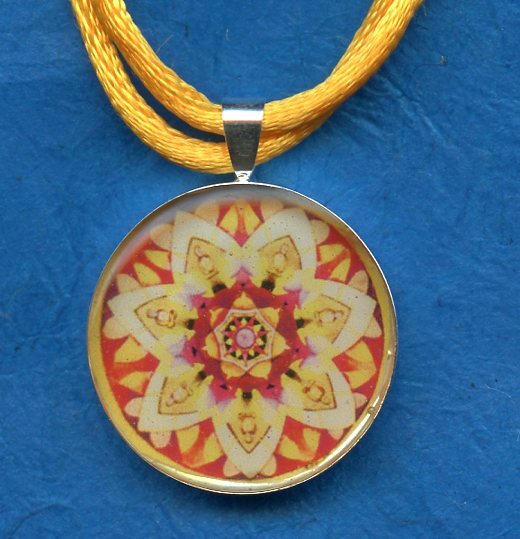 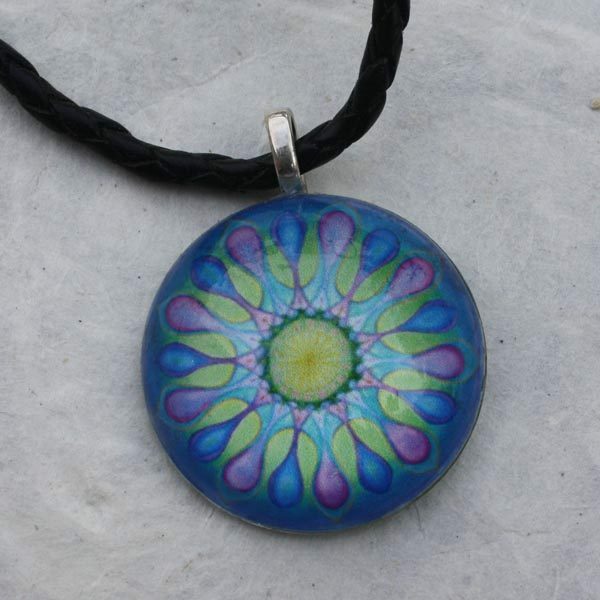 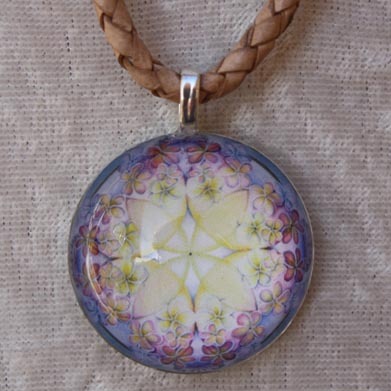 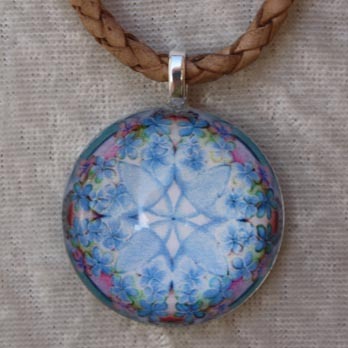 25 or 30mm in diameter (about the size of a quarter or larger), this pendant is sturdy and waterproof. 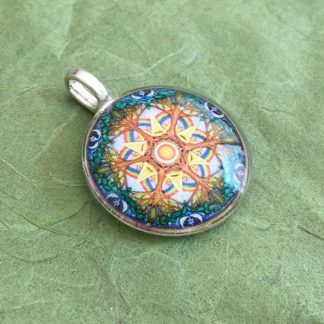 $18 for 30mm silver plated with resin back, $26 for 30mm sterling silver with resin back. 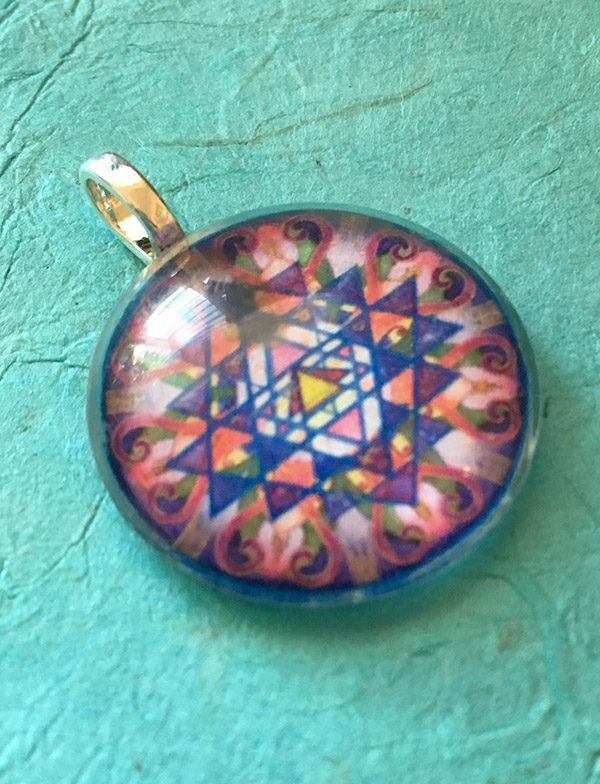 If the mandala you want is not pictured, just order any pendant and tell me your real choice in the comments section at checkout.